The Tokugawa clan was the family that established the Edo shogunate, also known as the Tokugawa shogunate. This military government established in 1603 and ended in 1868 ,with the Meiji Restoration when the Emperor regained power. The period when the Tokugawa clan ruled Japan was considered the most peaceful and civilised period of feudal Japan. 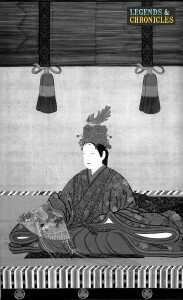 Tokugawa Masako was an empress consort of Japan and the daughter of Tokugawa Hidetada. Tokugawa Ieyasu, one of the most significant leader figures in the history of Japan, became the fist shogun of the Tokugawa shogunate in 1603 following the Battle of Sekigahara victory. Prior to becoming the shogun, Tokugawa Ieyasu was a daimyo, servingOda Nobunaga, and had taken part in a number of significant civil wars including; Battle of Okehazama, Battle of Azukizaka and Battle of Anegawa. Ieyasu also had conflict with Toyotomi Hideyoshi, which led the Tokugawa clan to attack and defeat Hideyoshi’s son, Hideyori at Osaka Castle in 1614. Ieyasu resigned as the shogun in 1605 and appointed his son Hidetada as the new shogun. However, Ieyasu acted as the ogosho who was the main adviser to the shogun. There was a significant change in the way the country was ruled from the previous period when Oda Nobunaga was in power. For instance, Ieyasu banned Christianity from Japan, isolating the country from the rest of the world. Following his death in 1616, Hidetada dedicated Nikko Toshogu shrine to Ieyasu. Including Ieyasu, there were a total of 15 Tokugawa shoguns until the end of the Edo period. Below shows the list of all the Tokugawa shoguns and their active years, along with their notable activities. Tokugawa Ieyasu (1603 – 1605) – was the first and the most notable Tokugawa shogun. Tokugawa Hidetada (1605 – 1623) – was the third son of Ieyasu. He attacked and forced Toyotomi Hideyori and his mother to commit suicide. Tokugawa Iemitsu (1623 – 1651) – is well known for his anti Europeanisation, banning all foreign traders from Japan. Tokugawa Ietsuna (1651 – 1680) – became the shogun at the age of 11. Tokugawa Tsunayoshi (1680 – 1709) – is famous for his love towards animals, especially dogs. For this reason Tsunayoshi was also known as the dog shogun, enforcing extremely strict dog protection laws. Tokugawa Ienobu (1709 – 1712) – took a less military approach to running the country. He also removed the ban on foreign books. Tokugawa Ietsugu (1712 – 1716) – became the shogun at the age of three and died when he was just six years old. Tokugawa Yoshimune (1716 – 1745) – is considered one of the greatest Tokugawa rulers. Yoshimune showed great interest in foreign literacy. Tokugawa Ieshige (1745 – 1760) – was not interested and involved in politics, which resulted in Ieshige leaving all the political decisions to the senior councillors. Tokugawa Ieharu (1760 – 1786) – failed to maintain authority. Many believed he would ruin the country. Tokugawa Ienari (1786 – 1837) – is famous for his love for women. Ienari built a harem, which consisted of nearly 1000 women. This led Ienari to become a father to over 75 children. Matthew Perry. Unfortunately, Ieyasu died just 19 days after their meeting, before the deal was concluded. Tokugawa Iesada (1853 – 1858) – was not mentally stable and therefore did not take active political role. Tokugawa Iemochi (1858 – 1866) – was married to the daughter of Emperor Ninko. Tokugawa Yoshinobu (1866 – 1867) – was the last shogun of the Tokugawa clan. Yoshinobu was previously known as Hitsubashi Keiki. The term, Bakumatsu refers to the period between 1853 and 1867, and simply translates to “the end of shogunate”. Following Japan opening its ports to the USA trade, the Tokugawa clan started losing its power and authority, resulting in the Emperor to regain power. The last three Tokugawa shoguns, Iesada, Iemochi and Yoshinobu were considered weak rulers. a map of the regions controlled by the Tokugawa clan. 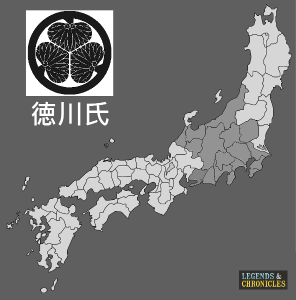 Following the Meiji Restoration, there was great conflicts between the Tokugawa clan and the pro imperial allied forces of Choshu, Tosa and Satsuma. The first instance of the conflict was when the Tokugawa forces were refused entry to the court and were attacked. This resulted in the Battle of Toba-Fushimi, which lasted four days. After the Tokugawa shogunate was defeated, many daimyo and other military forces turned against the clan and went to support the Emperor. Eventually, The Emperor let the Tokugawa clan establish their own house, known as Tokugawa Bekke. This made the Tokugawa become a powerful family in Japan once again. Tokugawa Yoshinobu was the first head of the newly established bekke. Today the house is still present with Tokugawa Tsunenari being the family head.